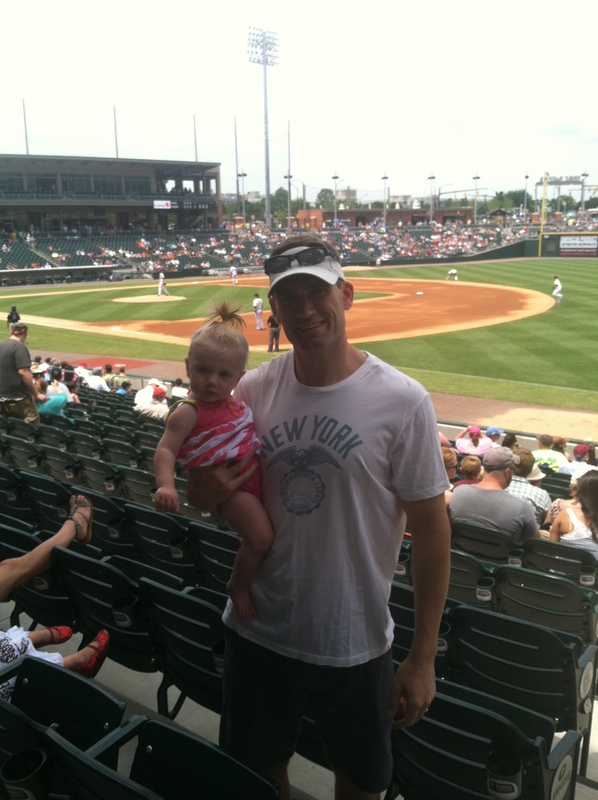 New Charlotte Knights Stadium is Rocking! 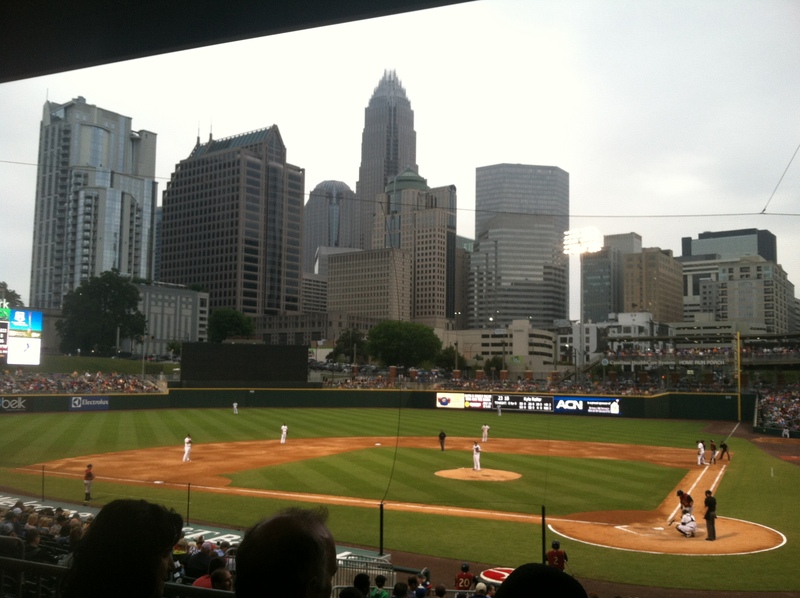 Over the past few weeks, we have been fortunate enough to enjoy several Charlotte Knights games in the new uptown stadium. What a great decision for them to relocate! I have been to more games this season than I had been since 2007 (when I moved to the city). 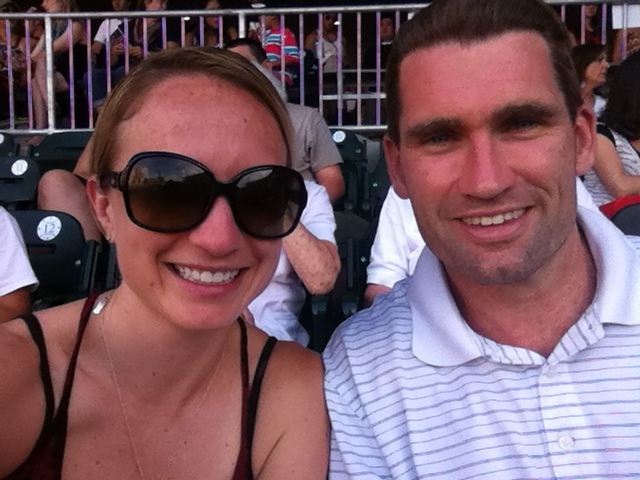 We have been to both night games and weekend day games, with baby and without, and every time we go, we seem to really enjoy ourselves. When designing the new stadium, the outfield was built such that it opened up to a gorgeous view of the Charlotte skyline (really making it look bigger than it really is). You can actually see the action from your uptown office if you are lucky (and have a good pair of binoculars). There is really no bad seat in the house. We took a walk around the entire stadium, stopping at several points to watch parts of the game, and I have to say, the seats in the outfield have their own appeal. Let’s talk food and drink. 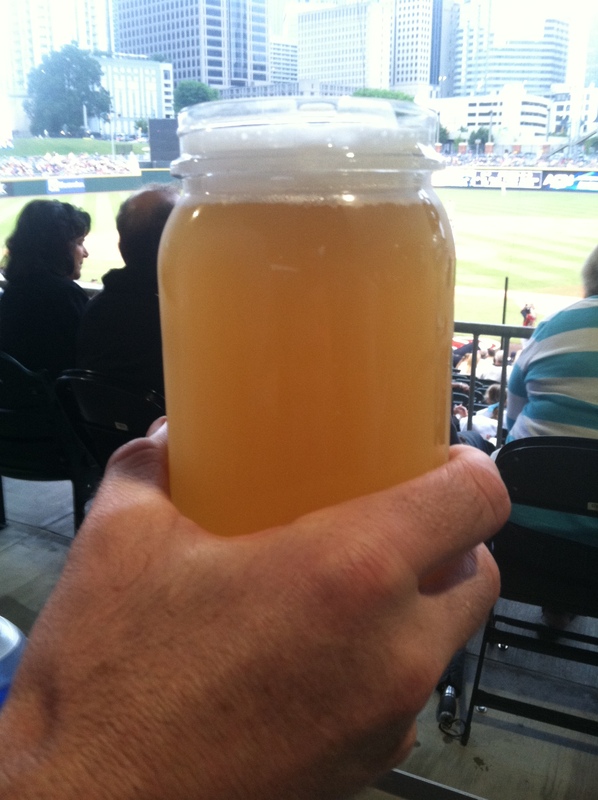 I have never been to a stadium (much less a minor league baseball stadium) that sells local award-winning craft beer out of mason jars. They are plastic replicas nonetheless, but I love the idea. Prices are reasonable. The variety of food is unbeatable. There really is something for everyone. Typical stadium food, on top of local barbecue (from Queen City Q), an air conditioned frozen yogurt shop, healthy meal items from Just Fresh, and of course Chick Fil A. 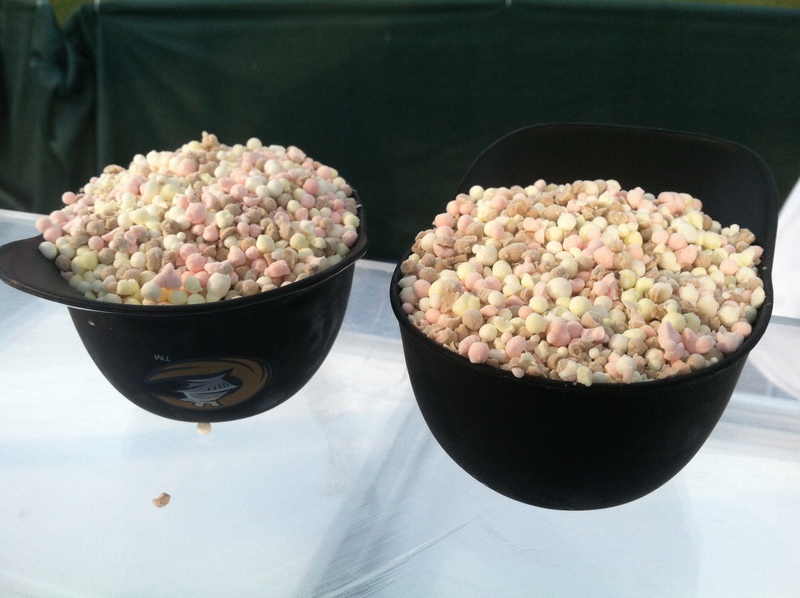 We helped ourselves to one of our childhood favorites – Dippin’ Dots. They even sell the ice cream in the plastic Knights baseball hat! Since they moved the stadium, we are making new memories at a place that we probably wouldn’t have ventured out to much. It is a great place to spend time with your family, escape for a date night, or get together with friends after work. Really, it is affordable in every way (our individual tickets were $18 each). You don’t even have to be a baseball fan to have fun at this new (easy to get to) uptown venue. 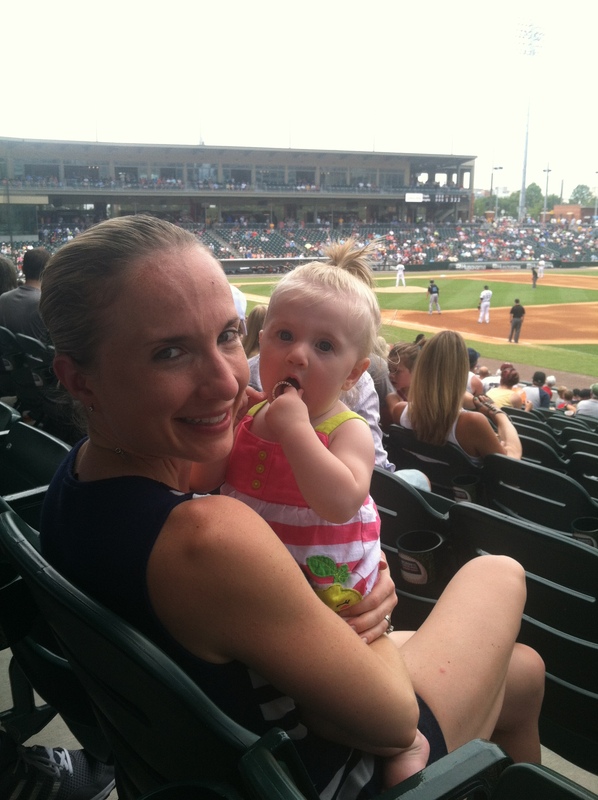 This entry was posted in food and tagged baseball, charlotte, Charlotte Knights, Dippin Dots, Just Fresh, Queen City Q on July 20, 2014 by flyjenduf.